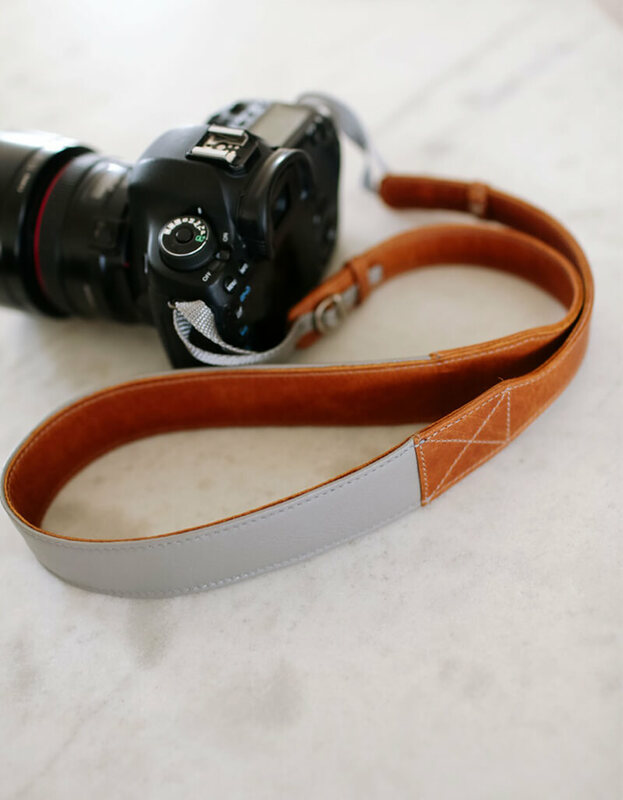 With a brilliant mix of comfort ,trend and style The Path strap is made of a secure double layer of genuine leather. 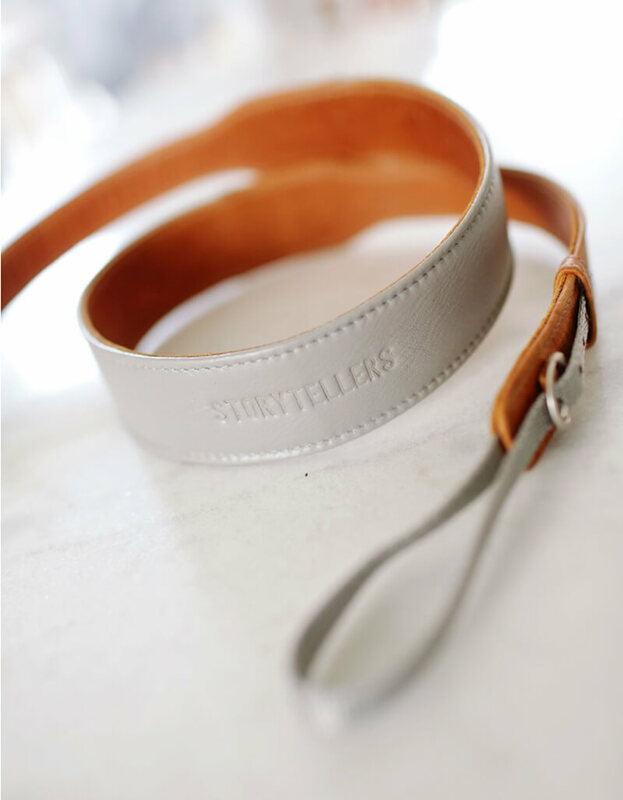 On the top we have light grey and underneath the tan leather, with details finishing of grey sticking. 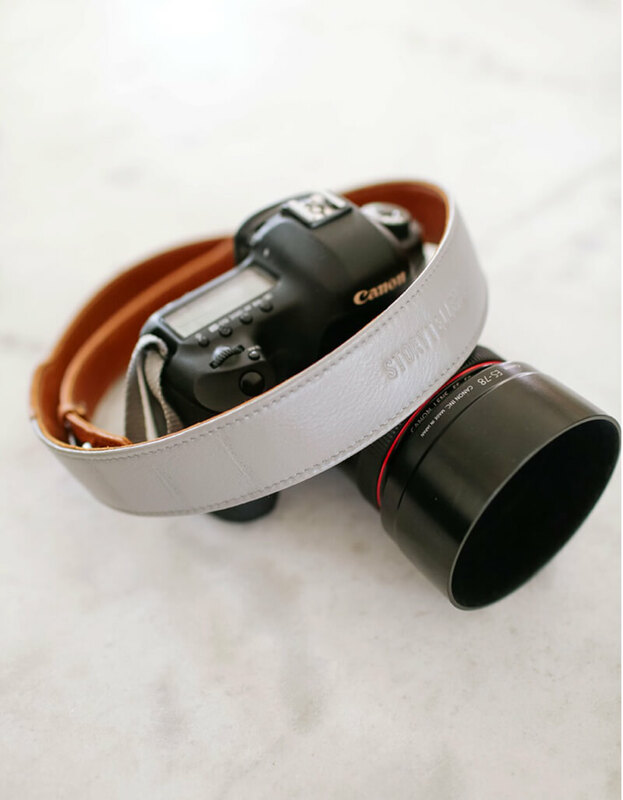 There are two buckles one on each side to easily adjust the length of the strap to fit your comfort. 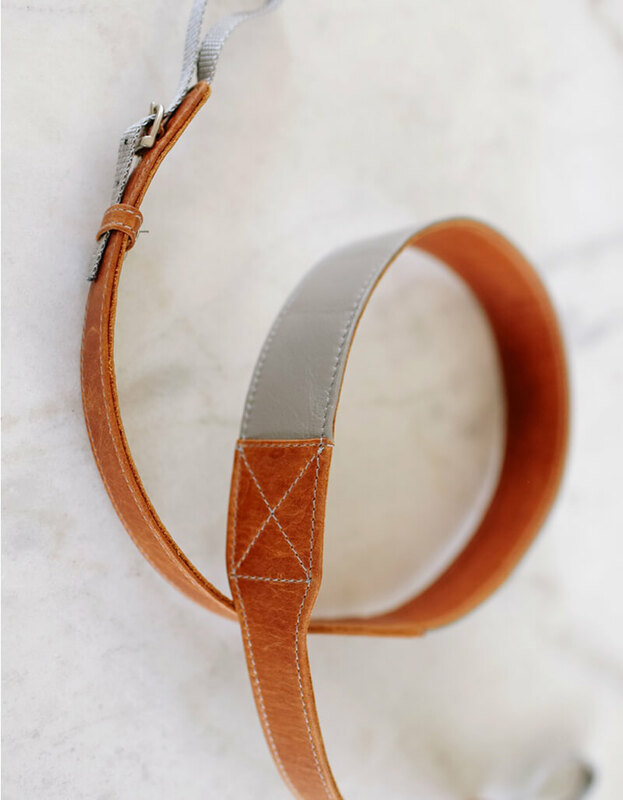 It can be worn well around the neck or across the body, which ever suites your style and preference.